Community Manager for Star Wars Battlefront 2, Ben Walke, announced on Twitter that the AI troops will be temporarily removed from Battlefront 2‘s new mode, Capital Supremacy. 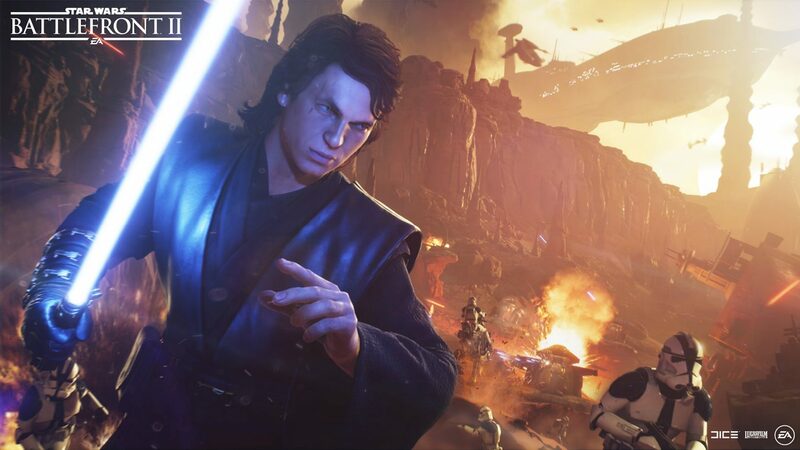 He explained that, due to a surge in game crashes, the developer will be removing Battlefront 2‘s AI troops in order to attempt to figure out how to solve this issue. Walke also said that DICE will be reducing the number of Heroes allowed on the battlefield at any given time from 4 to the original settings, which allows only 2 Heroes per side to be in use at the same time. This should improve the new mode’s stability, and allow EA and DICE to figure out how to solve the constant crashing issues that seem to be plaguing Capital Supremacy. Ben stated that the AI troops will be returning later on March 28, 2019 at some point. In approximately 10 minutes we’ll be turning AI off from Capital Supremacy. They will return this afternoon (Stockholm time). This is to help us investigate some crashes. For those who are unfamiliar with the new mode, Capital Supremacy combines large-scale ground combat with aerial battles. The goal of this mode is to destroy the enemy’s Capital Ship. Players on either side need to fight to capture Command Posts, of which there are five scattered throughout the map. When you capture and hold Command Posts, you and your team will earn reinforcement tokens. If you reach 50 reinforcement tokens before the opposing team, two Transport Ships will spawn into the map, each heading to a different location. When you board a Transport Ship, it will trigger a cinematic that will show you and your team invading the enemy’s Capital Ship. Once on board you must secure the hangar by capturing the two computers marked A and B. Upon capturing these points, you will trigger the next phase of your attack. For the final phase of your attack, you must push further into the enemy ship and take control of two more points to destroy the Capital Ship. If at any point during your attack, your team runs out of reinforcements, you will lose this phase and be returned to the surface of the planet where the whole process starts over again. Don’t worry though, the game will remember your team’s progress from the last attack. When you get 50 reinforcement tokens again, and board the transport ships, you will pick up where you left off last time. Meaning, if you had already taken over the hangar, you do not need to repeat this process multiple times. The same can be said if you already destroyed one of the two points on board the Capital Ship. Have you had a chance to play Capital Supremacy yet? Let us know what you think of the new mode in the comments below!